Now in its 48th year, the Daramalan College Parents & Friends Association Charity Walk – previously called Kilothon – is a long-standing event in the College Calendar. To be held in Term 3 in 2019, the Charity Walk is one of the major College events where the whole school comes together to participate in a fun and enjoyable community day. We are always looking for volunteers so if you’d like to help out with next year’s Walk, please contact Yvonne Mead at the College here or click here to complete the volunteer form. 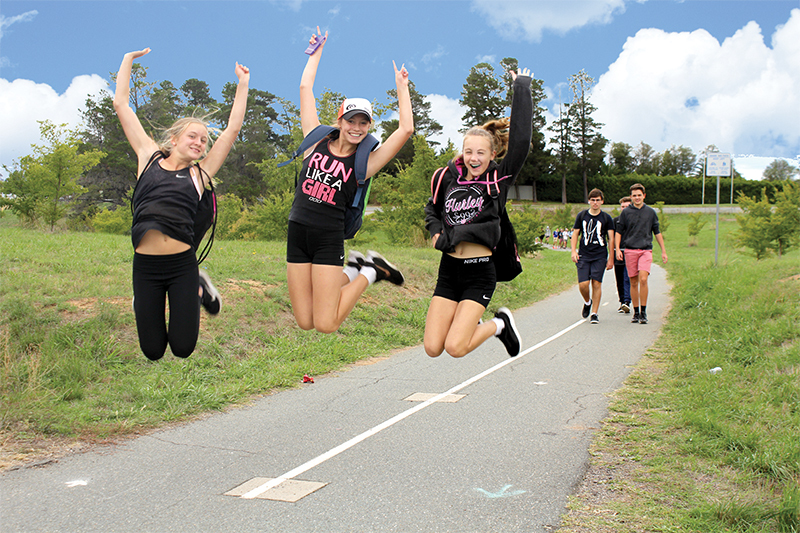 The Charity Walk route uses shared paths around the western loop of Lake Burley Griffin with students walking with their friends and teachers on the path. The Charity Walk is also promoted as a House event. Led by their House Coordinators and Year 12 House Captains, students have the opportunity to mix with fellow House Group members as well as their year level cohort. This is a social day out with a focus on the importance of social justice. Social justice awareness is a core value of the College and St Vincent de Paul and Caritas Australia are the principal funding recipients.